Reporter: Stephen J. Williams, Ph.D. and Aviva Lev-Ari, Ph.D., R.N. Healthcare and life sciences organizations are facing unprecedented challenges to improve drug development and efficacy while driving toward more targeted and personalized drugs, devices, therapies, and care. Organizations are facing an urgent need to meet the unique demands of patients, regulators, and payers, necessitating a move toward a more patient-centric, value-driven, and personalized healthcare ecosystem. The Oracle Industry Connect health sciences program features 15 sessions showcasing innovation and transformation of clinical R&D, value-based healthcare, and personalized medicine. The health sciences program is an invitation-only event for senior-level life sciences and healthcare business and IT executives. Complete your registration and book your hotel reservation prior to February 27, 2015 in order to secure the Oracle discounted hotel rate. Learn more about Oracle Healthcare. Oracle Applications for Life Sciences deliver a powerful combination of technology and preintegrated applications. Life Sciences Pharmaceuticals and Biotechnology. Oracle Applications for Pharmaceuticals and Biotechnology deliver a powerful combination of technology and preintegrated applications. 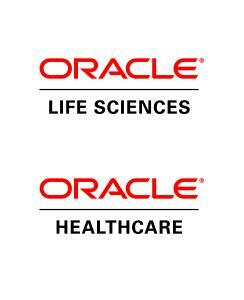 Oracle Health Sciences leverages industry-shaping technologies that optimize clinical R&D, mitigate risk, advance healthcare, and improve patient outcomes. Oracle for Clinical Applications provides an integrated remote data collection facility for site-based entry.